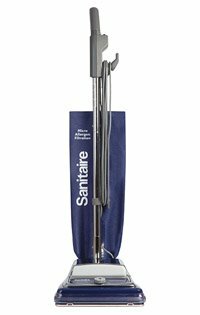 The Sanitaire product is designed to help save time, money and hassle. Sanitaire's motto - The Ultimate Time Machine. The upright vacuums come equipped with long-lasting 2,500-hour motors, and quality parts that last a life time. 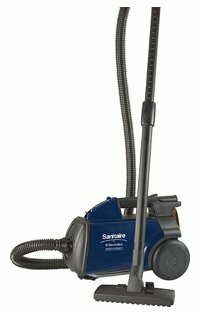 Sanitaire vacuums come in a variety of models from upright to canisters. All Sanitaire models come with a warranty on motor & base, parts and labor. Can you say American built vacuums! Sanitaire maintains its own North American manufacturing facility, where it owns and oversees the manufacturing process for more than 90 percent of the product line. Our commitment to quality is put to task daily in rigorous lab testing and quality assurance programs that ensure each Sanitaire vacuum is designed and built to last. Sanitaire vacuum is the nations leader in commercial vacuum cleaners for over 45 years, and powerful cleaning from the commercial experts.